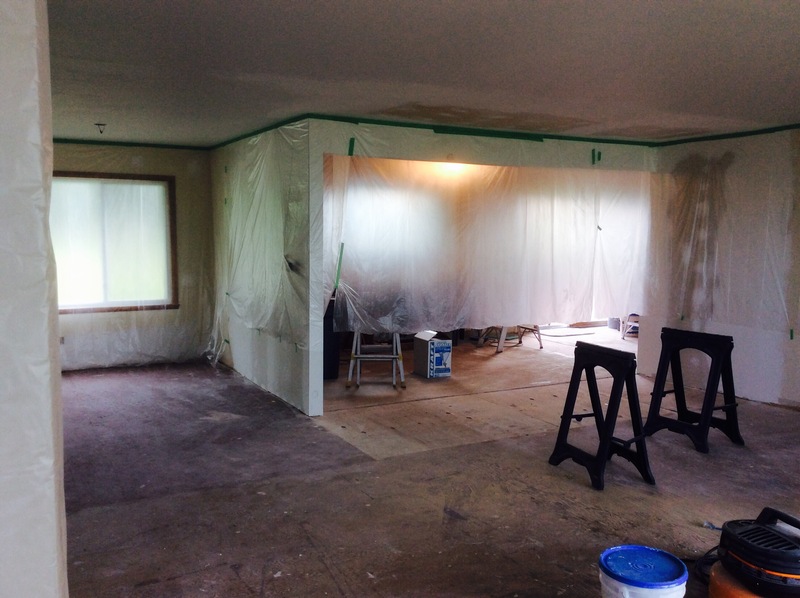 As far as the house remodel is concerned, it’s much the same as week 9, just in a different room. The humidity has really put a damper on the speed in which we can operate. If coat #1 isn’t dry you can’t proceed with coat #2 and so on. 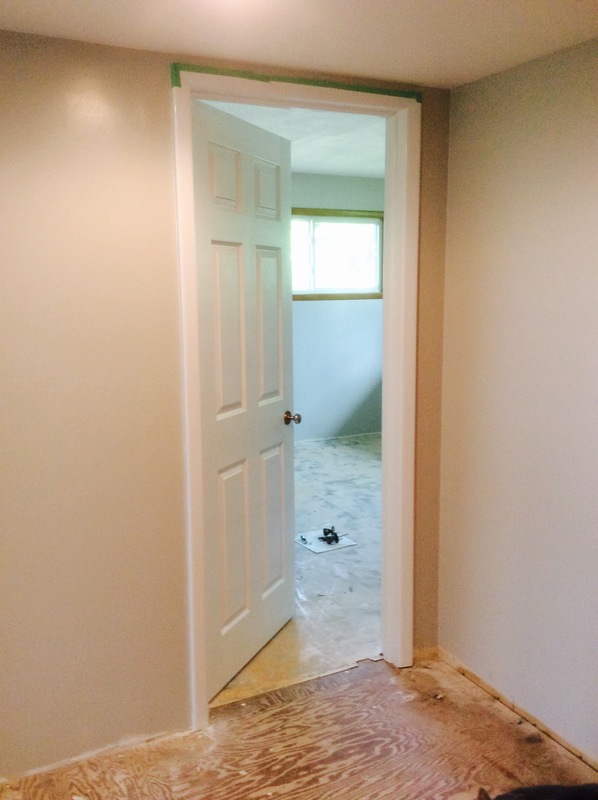 My husband worked on what he could while I installed a new door in the guest bedroom to keep busy. 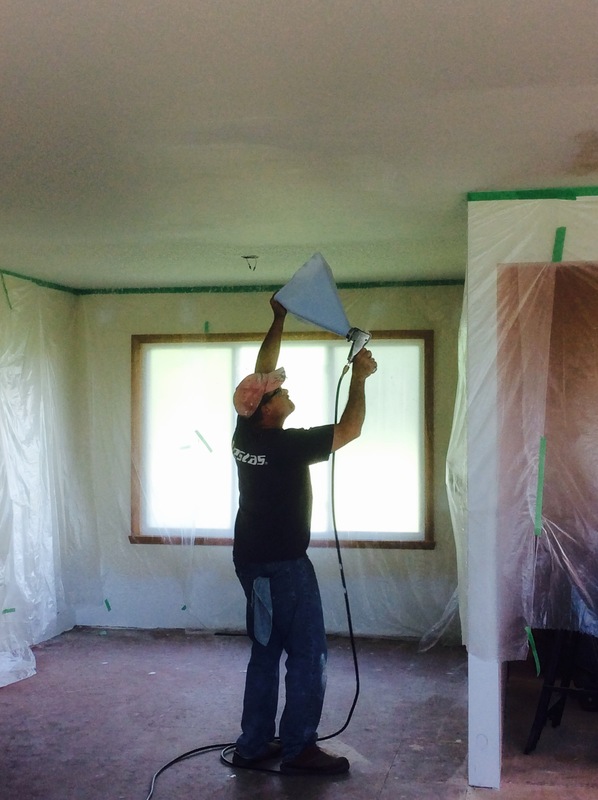 We were able to get the living/dining area prepped to the point we could throw texture onto the ceiling. Until, the sprayer broke just as we filled the hopper to start the process. This meant a 2 hour round trip to Menards we hadn’t necessarily planned on. Don’t you just love the unexpected?! In an effort to kill two birds with one stone we proceeded to make arrangements for our chicken pick up. My husband’s work buddy raised them through the brooder stage for us because we didn’t know how long it would take to get our coop ready. Luckily, we were able to make our 2 hour trek into town a productive one. Long story short, the ceiling finally received texture a day later than planned. Now, it will dry for a couple days before I can do the knock down and primer/paint. Armed with the dog kennel we did pick up our nice little mix on what has so far been the hottest day of the summer. All are various breeds with a couple roosters thrown in there for good measure. The little peepers are tucked away nicely in their new pen and coop area. 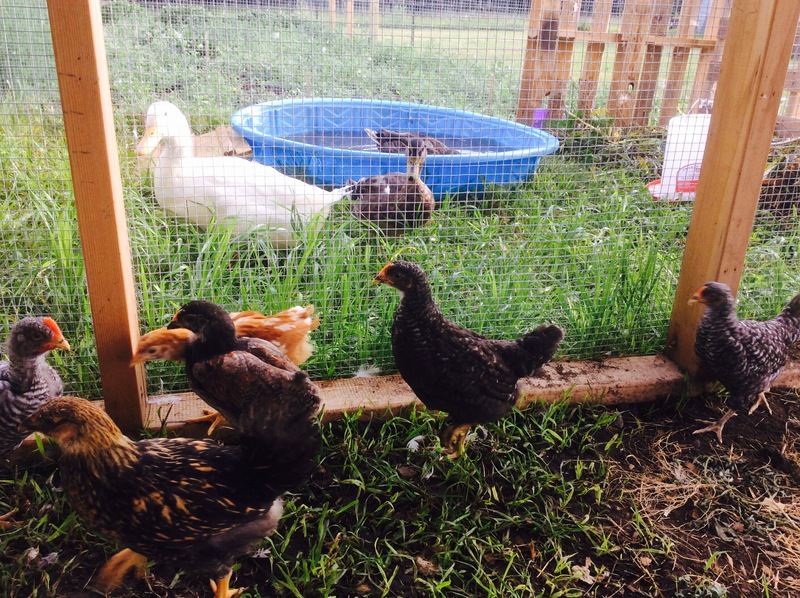 For now, they are segregated from the ducks but we hope to integrate them soon. The garden continues to grow like crazy and that includes weeds! I have lettuce, spinach, cilantro and zucchini coming out of my ears along with bunches of Canadian thistle mocking me every step. First year garden weeds are a nuisance but it should continue to get better every year. 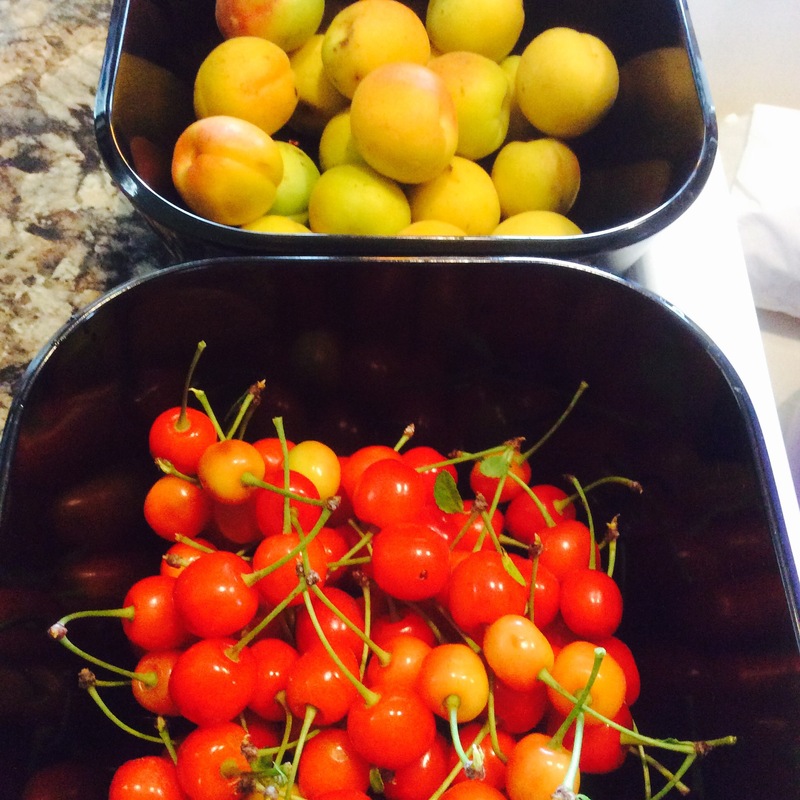 Today, I was able to harvest a few sour cherries and what I can only assume are apricots. 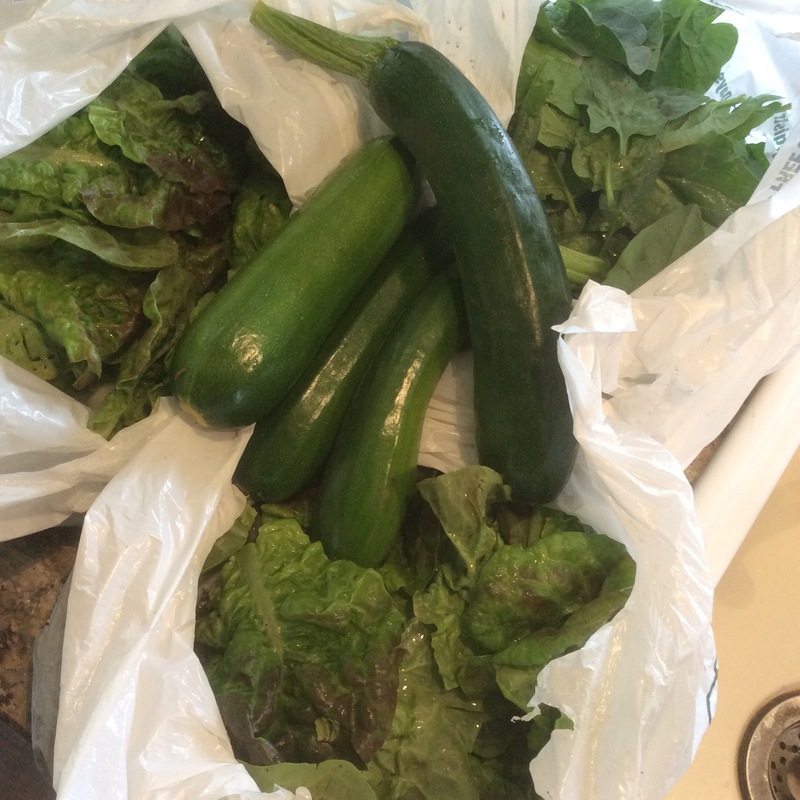 This yard and its bounty continue to amaze me daily. My husband and I are excited about our new life here and the experiences we will have. 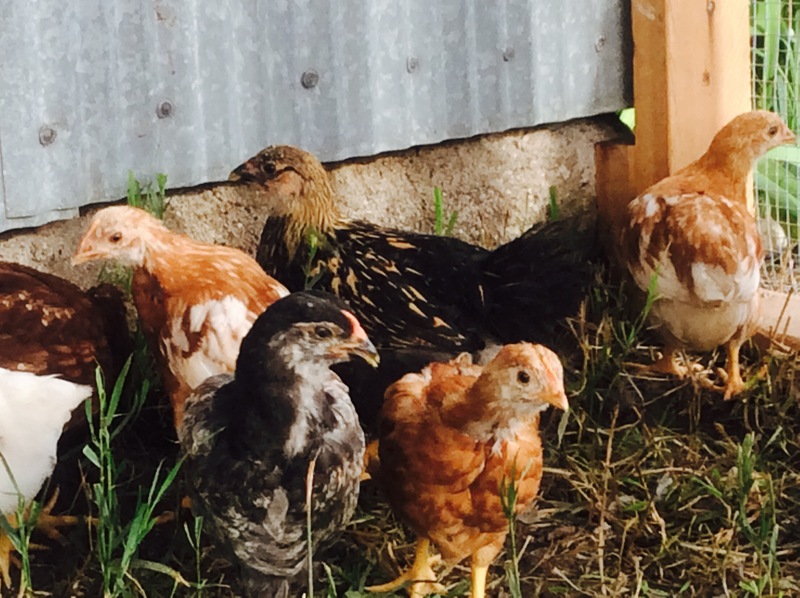 As I sit here writing this, I look out at my chickens and just smile. Finally, I get to do some of the things I’ve always dreamt about.